Conserve brand is a line of products by the Belkin company that provide energy monitoring systems that are effective and easy to use. The Conserve Insight measures your power usage and serves as an energy using monitor for a minimal fee. When plugged into an outlet, any device can then be plugged into it and energy consumption can be determined based on watts, dollars used per year or month and even CO2 usage can be reported. Many of the same functions can be found on the P3 International, the Kill A Watt EZ, which sells for around twenty dollars and features some of the same functions as the Insight but also includes a wireless sensor that can monitor an outlet up to 300 feet away. In addition, a Kill A Watt PS power strip which can accommodate up to 10 devices plugged in to power, can be used to monitor power draining while providing protection from power surges. If you wonder how much water that long, relaxed shower is wasting, Eco Showerdrop can tell you. Mounted at eye level, this device knows exactly how long it takes to reach one litre of water. When you press a button, this machine can measure your water in litres and tell you exactly what the cost of that shower is. Though the system is geared toward the UK market, it’s gradually gaining popularity across the globe, particularly in America. If wasting water is a concern, the Save a Drop Spray Nozzle by P3 International can attach to your garden hose and display how many gallons of water you have sprayed through a built-in digital meter display. By setting your current in-home temperature as your reference, you can use the Black and Decker Thermal Leak Detector with infrared thermometer to display major deviations in temperatures by directing it toward walls and other areas in the home. The LED display will then show you hot and cold extremes in your property. 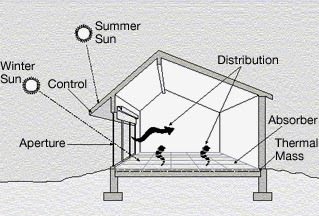 Heat is extracted from the outside air then concentrated for use in the home through an air source heat pump. Warmth from the environment is turned into usable heat through clean, sustainable energy, providing lower operating costs and improved heating levels of comfort. There is no dependency on fuel suppliers. These energy efficient heat pumps are top performing and affordably priced. Similar to monitoring individual outlets, entire homes can also be monitored for efficiency. Analysts at Parks Associates believe that 60 percent of homes will utilize this type of energy management by the year 2022. The TED system, “The Energy Detective”, can be utilized in homes with one or multiple breaker panels, or even in homes that use alternative energy sources like wind or solar power. This device clamps into your breaker panel and sends information to your TED's PC software gateway using power line-based communication systems. Step up your energy saving efforts by making a step up in the monitoring systems you use. By utilizing some of the latest devices, you can provide greater efficiency in your energy usage and your budget. About the author: Gabriella Johnson is marketing manager at Innasol, a company dedicated to developing sustainable energy management systems and renewable heating solutions for its clients. Gabriella is passionate about renewable energy and regularly researches the latest technologies to ensure her services remain competitive.